� Rated for 130 H.P. and Smaller Motors. 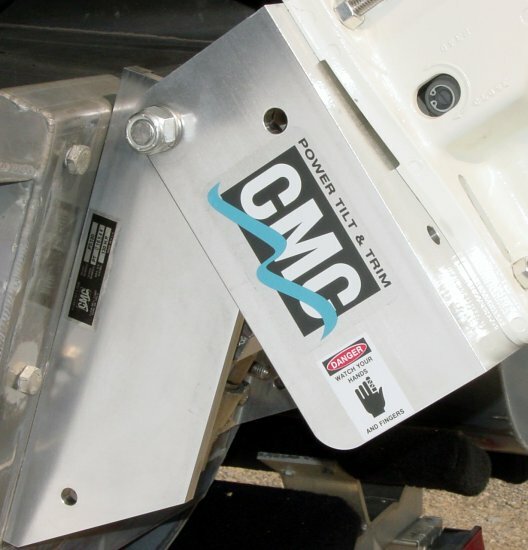 � 6" Set Back to Enhance Boat Stability and Performance. � 20� of Trim and a Total of 90� of Tilt and Trim. � 1/2" 6061 T6 Extruded Aluminum Construction with Stainless Steel Fasteners. � Electric Hydraulic Actuator Rated at 7853 lbs. of Thrust! � Standard B.I.A. Bolt Hole Pattern. � Convenient Adapter Kit Available for Clamp-on Motors. � Four Stainless Steel Motor Mounting Bolts Included.